Tavira is a picturesque and charming town situated on the eastern Algarve, while Lisbon is the vibrant capital of Portugal. 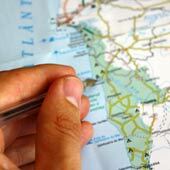 It is 303km from Lisbon to Tavira, and when driving, the journey takes just under 3 hours. 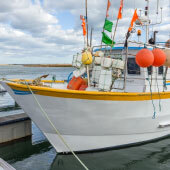 There are regular and inexpensive bus and train services connecting Lisbon to the eastern Algarve, and all of these routes pass through Tavira. 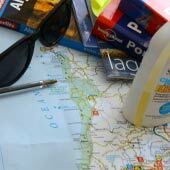 This guide will detail how to travel from Tavira to Lisbon using public transport, and includes details of fares, station information and links to current timetables. 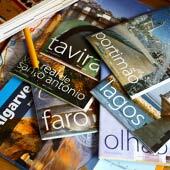 Should I take the train or bus when travelling from Tavira to Lisbon? Lisbon and Tavira are connected by both bus and rail services, and there is not much to separate them. 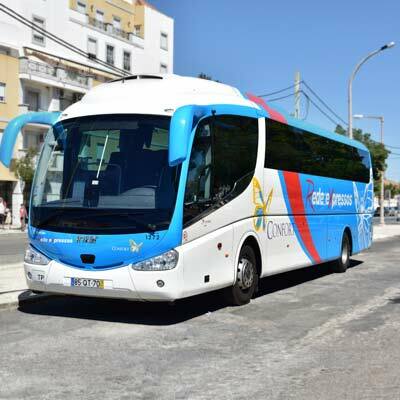 The express bus provides a direct service, while the train is more spacious and relaxing, but requires a connection in the city of Faro. 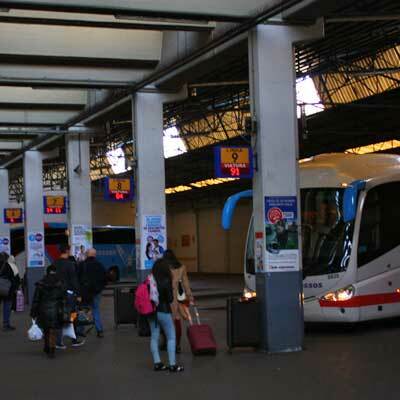 The fares are very similar; the cheapest adult single train fare is €23.00, whereas the bus is €19.00. Journey times are comparable; the quickest bus service is 4h15min, while the train is 4h02. The length of the train journey depends on the connection at Faro, but no service takes longer than 4h29. 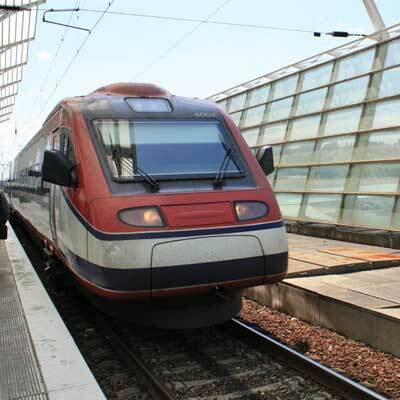 Opinion: We prefer travelling by train from Tavira to Lisbon, this is because the journey is four hours, and that length of time on a bus can feel very cramped. Book your seats in advance! You should always book your tickets (for both train and bus) in advance of the journey. The express train between Lisbon and Faro has to be booked before travelling, as each ticket is designated a seat number. Bus tickets should be purchased before the day of travel as the route is very popular in the summer. The added advantage of booking well before the day of travel is that there can be significant discounts; last year there were discounts of up 50% for advanced train fares. Both the rail and bus tickets can be purchased online or at bus or train stations. 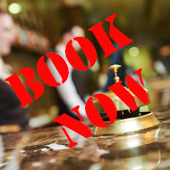 Advice: There are many third-party booking websites, but it makes sense to book directly from the Rede Expresso websites (for the bus) or the Comboios de Portugal (for train tickets) – links are given below. 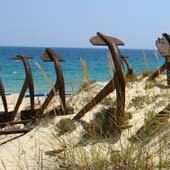 The following sections will explain in detail travelling by train and bus from Lisbon to Tavira. The train journey from Tavira to Lisbon requires a connection in the city of Faro, and there are two very distinct sections of this journey; the slow regional train from Tavira to Faro, and the express train from Faro to Lisbon. For the Lisbon-Faro express train, there are two types of service; the Alfa Pendular and the Intercidades. 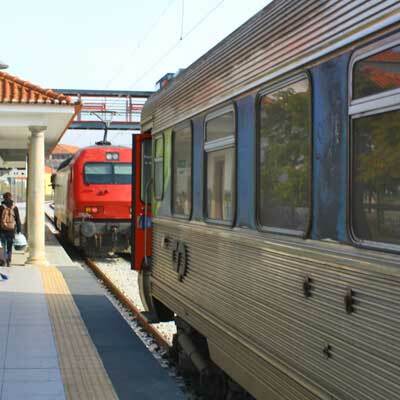 The Alfa Pendular is the more modern train and has a shorter journey time, but it is slightly more expensive than the Intercidades service. A single ticket between Tavira and Lisbon using the Alfa Pendular service costs €31.80/€24.00 (first/second class) or is slightly cheaper by the Intercidades service at, €29.80/€23.00 (first/second class). 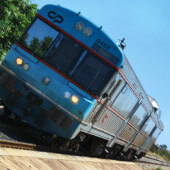 It should be noted that both routes use the same regional train from Tavira to Faro. The length of the train journeys are very similar, and the variation depends on the connection time at Faro. Train times vary from 4h02 to 4h29 for services between Tavira to Lisbon or 3h48 to 4h29 when heading from Lisbon to Tavira. Insider tip: For this long journey why not upgrade yourself to a first class ticket for the Faro to Lisbon section, for only €7. Tavira train station is to the south west of the town (GPS 37.12053, -7.65574) and is a very small station, with just two train lines and a ticket office. There is a second smaller train station to the north of Tavira, called Porta Nova (GPS: 37.132914, -7.649344) but do not use this one, as it has fewer departures and does not have a ticket office. 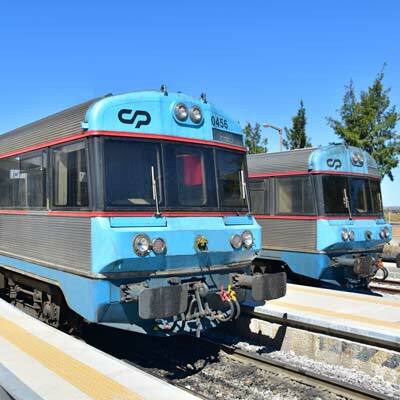 The connection between the region train and the express train is at Faro station (GPS: 37.019628, -7.941065). Faro is a small train station and is easy to navigate around, also there are usually lots of other passengers making the same connection between trains. In Lisbon, the express train stops at the Estação do Oriente (GPS: 38.768212, -9.098981). This is a major train station to the northeastern side of Lisbon, and is connected to the red metro line. 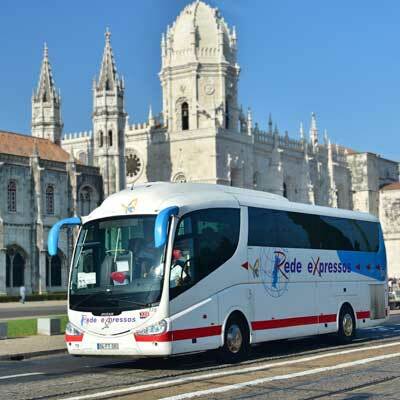 A few years ago, there were three different bus companies operating services between Lisbon and Tavira; Rede Expressos (the main intercity bus company), Eva (the Algarve bus company) and Renex (a private bus company). Nowdays, they are all part of the same organisation (Rede Expressos), but the buses will still have their unique livery. 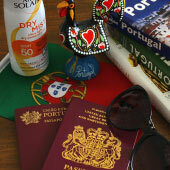 This combination makes planning and purchasing tickets easy, as it can all be done from the Rede Expressos website. Info: When using the Rede Expressos website choose “Lisboa Sete Rios” as the to/from location, as this is the main bus station in Lisbon and will provide the most departures. Warning: Take care when selecting the service from Tavira to Lisbon as the fastest routes takes 4h15min, whereas the slowest is a tedious 5h30min. During the summer months, tickets should be purchased as soon as possible, as the popular departures (Friday-Sunday) book up fast. Tickets cannot be purchased from the bus driver and must be purchased from the bus station before boarding. Tavira bus station is surprisingly large considering the few daily departures from here. The bus station (GPS: 37.12714, -7.65261) is 200m from the Ponte Romana Bridge and the centre of Tavira, and the ticket office is open from 7:30 until 19:00 every day. Sete Rios bus station is the main hub for Rede Expressos buses in Lisbon. The bus station (GPS: 38.74141, -9.16631) is connected to the blue metro line and is served by the Jardim Zoológico metro station (and is also close to the zoo!). Inside the bus station are ticket offices, shops and cafes, and it is always busy. Sete Rios is safe, but always use common sense when passing through, and keep valuables hidden away.